Our positive running story for this feature is on Carolyn Weber. 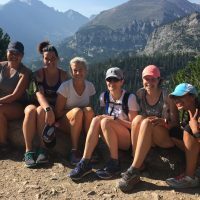 Carolyn came to one of our women’s running camps is 2012, and loved the experience so much that she has returned for another three camps since! It has been a joy to watch Carolyn’s journey and see her self confidence grow in leaps and bounds. (Carolyn is pictured above, on the left, at one of our camps.) 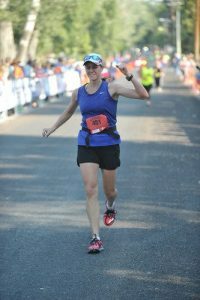 Check out how running has changed to become a focus of Carolyn’s life, rather than just a great way of staying in shape. Can you give us a brief background to your running career up to now? In my last year of high school, I started running regularly as a way to stay in shape since I was no longer playing team sports. Through college I continued this habit but, I ran only a few miles at a time. It wasn’t until I started graduate school in Maine that I started running longer distances because a friend convinced me to run my first half marathon in 2005. I was shocked to come in third place in my age group and that sparked my interest in taking running a bit more seriously. For about 7 years after that, I ran regularly and was happy competing in half marathons. When I moved to New Mexico in 2009, I also discovered trail running at high elevation as well as triathlon and started dabbling with that. When I moved to Idaho in 2011, I was enjoying my running a lot but I had started to develop some overuse injuries and was at a point where I knew I couldn’t improve anymore without some expert coaching to help me make some adjustments to my running form. That is what led me to come to Women’s Running Camp at Active at Altitude in 2012, which ended up being a pivotal time for my running. 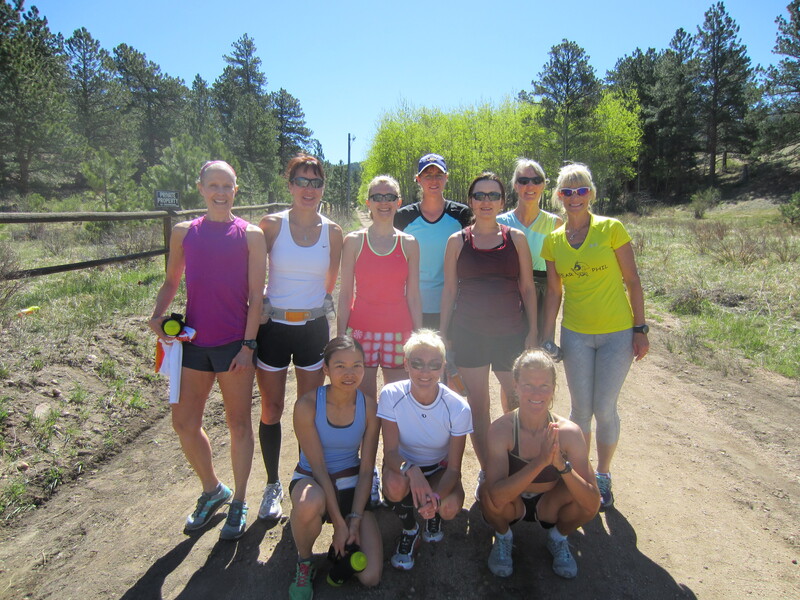 The supportive group at Camp inspired me to train for and run my first marathon in 2013 in Idaho, at which I qualified to run Boston 2014. 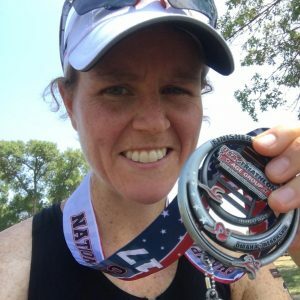 I would say that turn of events really opened up the flood gates in my mind for what I could potentially accomplish and led to my attending two more Women’s Running Camps and Trail Running Camp at Active at Altitude, running two more marathons (including Boston 2015), competing in trail races and doing sprint and Olympic distance triathlons. Some race highlights from the last two years include competing in and placing among the top 4 women in three trail races (5 miles, half marathon, 25K) in 2016 and competing at the USA Triathlon Age Group National Championships in Omaha, NE this past August. You came to one of our women’s running camps in 2012. Can you remember how you thought of yourself as a runner back then, and how camp changed you? When I came to Camp in 2012, I didn’t believe that I was a runner. 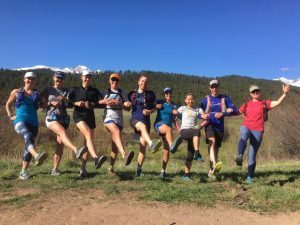 My experience at Camp led me to discover how far I needed to come mentally –not just physically—in order to improve my running. I was always told in high school that I was a terrible runner, but team sport coaches left it at that and never provided constructive criticism. During camp, I came to the realization that I had been letting other people’s criticisms and doubts define me. I came to the realization that most of the criticisms and doubts that other people had expressed to me were really about themselves and that I no longer had to succumb to the fears and doubts of others about goals that I could and would achieve. 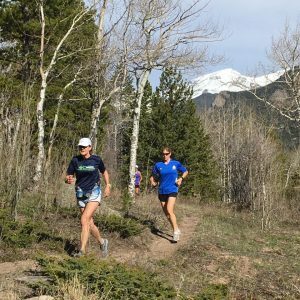 Camp provided me with a new mental foundation on which to build myself as a runner—or anything–as well as a new framework for living life. You decided to become certified as a Chi Running coach in 2013. What was it that sparked that idea for you? Running literally changed my life and learning how to run more efficiently really unlocked my potential to achieve more and love running more than I ever knew I could. I wanted to help others unlock their potential. What has been the biggest personal benefit from teaching people about Chi Running, and why has this mattered to you? It never gets old seeing someone’s excitement for how much easier running can be when they make a few adjustments to their form. This is very satisfying to me, as is sharing my own story. People who don’t know me assume that I was always a runner. 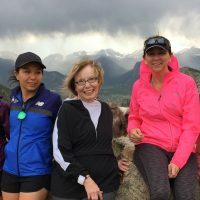 Sharing the doubts and fears I used to have with people really helps us connect and for some it is the realization that they are not alone in their doubts and fears and struggles in becoming a runner. Teaching Chi Running has also helped me in developing strategies for working with runners as a PT. 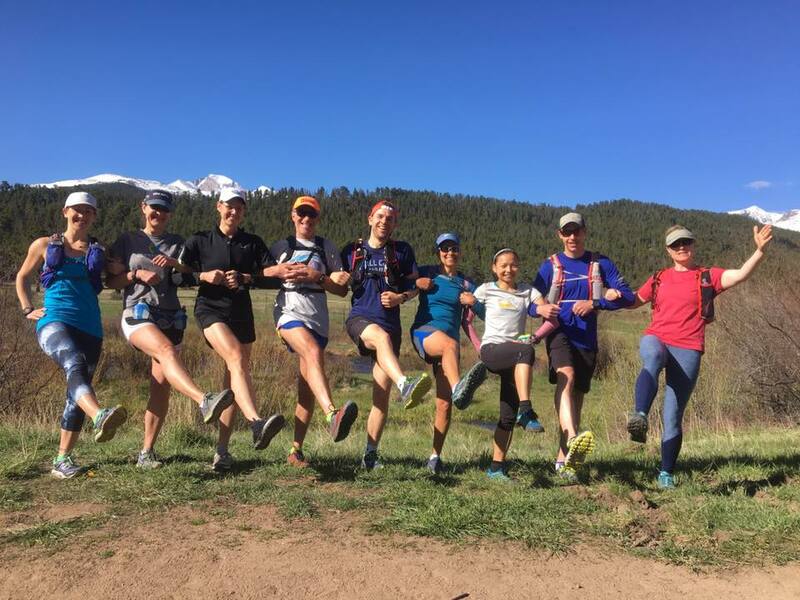 Sometimes the way you teach running mechanics to someone just doesn’t resonate with them and working with a lot of different people has helped me to develop a variety of strategies to cue people and get them moving in new ways. You are training to become Doctor of Physical Therapy. What had you been doing before this, and what prompted you to change career path? Running really changed my life and gave me some new-found confidence in other aspects of my life outside of running. Over the last five years I slowly came to the realization how important running and being physically active meant to me and how it could really change the quality of one’s life. By this time, I had been on an adventure for over a decade of earning a Ph.D. in biological sciences and doing research in environmental microbiology in all kinds of remote corners of the World. I was having a lot of success as an independent researcher and University faculty member, but I spent every moment I wasn’t doing science thinking about and actually running, biking, swimming, etc. I hit a turning point where I decided that I wanted to marry my love and passion for science and physical activity in a way that I could help people find their own love for movement and improve their quality of life. Physical activity had given me so much more in life and I wanted to assume a role in which I could help others discover the same thing for themselves. What has been your racing highlight so far in your career, and why? Every race is special in its own way, so this is a tough question to answer. 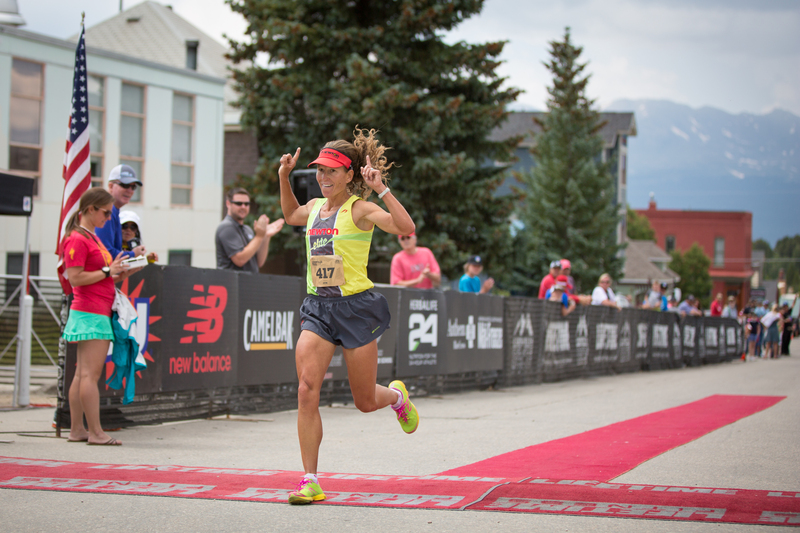 But I would have to say that the racing highlight to date was completing my first marathon in 2013 (Pocatello Marathon in Idaho) and qualifying for Boston 2014. As I mentioned before, this was a race that really opened my mind to what I could potentially accomplish as a runner. A close second behind that was running a personal best at the Missoula Half Marathon in 2014 because I set a somewhat lofty but reachable goal to finish in 1:35 and finished in 1:35:06. I used visualization techniques in the days leading up to the race and to date, this remains one of my best executed races. You attended one of our trail running camps in 2016, and have since had some success racing on the trails. What is it you like about trail running compared to running roads? Trail running involves a lot of grit, both literally and figuratively. I love the peace and quiet and getting into a rhythm of jumping over obstacles on the trail. Trails with a lot of elevation gain are among my favorites because I love to climb. I’ve never been a super fast, light weight, stereotypical road runner, but I have good endurance and will run up hills that others walk. During trail races, this can give me an advantage. I usually pass people going uphill. Can you share one thing that is uniquely Carolyn that no-one would know by looking at you? Despite having been through a lot of schooling and loving learning, I have a long standing hate-love relationship with the confines of academia. After attending pre-school for a while, I told my parents I wanted to quit because I was so bored with it. I was a very opinionated 4 and 5 year old. They allowed me to do this and I have always joked that I was a “pre school drop out”. I also graduated from high school in three years instead of four because I was fed up with the rules and the structure that prevented me from learning about things that I was interested in when I wanted to learn them. I’ve always enjoyed being creative, even in the way I’ve done scientific research, so I thrived on the increased freedom I had as I moved on to college and graduate school. But the formalities of higher education still frustrate me because they dampen creativity. I always thought it was a crime to shun the kid at the back of the room who wasn’t paying attention to lecture because he was working on an artistic masterpiece in his notebook rather than taking notes. I think schools should allow kids to excel in the niches where they show strength and desire to succeed rather than having every one marching in a straight line. I think our public school system does a great job of weeding out genius that the world could benefit from. Sir Ken Robinson is one of my personal heroes for the stance he has taken on education and putting creativity back into schools. What are your running and life goals for the New Year ahead? In the new year, I will still be very focused on making progress through the second half of PT school and completing an internship in neuro rehab. I am also working on a research project that is examining the impact of arm swing and trunk movement on lower extremity biomechanics in runners to determine if gait retraining for runners should focus on the upper body. Although most of the common injuries in running involve the legs and feet, the upper body is important in neutralizing forces as they move up the kinetic chain–adjusting its position and movement pattern feeds back on the forces that people experience in their legs and feet. I want to learn as much as I can on this research project. As for running goals, I am currently focused on shorter distances (10K to half marathon) because I am training primarily for triathlon. After moving to Iowa for school, I decided to focus on triathlon for a while because trail running in Iowa is lack luster compared to what I was used to in the mountains out West. I have plans to complete two sprint distance and one olympic distance triathlon next year. I will be in Idaho for 10 weeks during the summer on a clinical internship and I am looking forward to spending my free time training in the mountains for some late season triathlons (September). As part of my training though, I plan to enjoy trail running in the Idaho Mountains as much as possible and hitting up a trail race will probably be in the cards.